Kia Ora and Haere Mai! 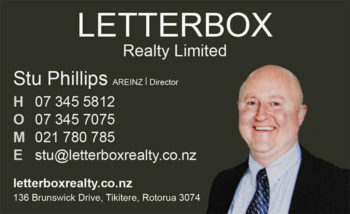 Welcome to the Rotorua Bridge Club’s website. Formed in 1955, Rotorua Bridge Club is one of the strongest bridge clubs in the region, with about 150 members ranging from novices to grandmasters. If you've never played bridge and are interested in learning, Rotorua Bridge Club runs a series of lessons each year. See the beginners’ page for more information about learning bridge. There are four playing sessions each week – on Monday afternoons, Wednesday and Thursday evenings and Friday mornings. Visitors are always very welcome to all sessions, with the exception of team competitions, where it is often not possible to fit in an extra pair. If you’re in Rotorua alone and would like a partner, please contact a partnership steward – we can nearly always find you someone to play with. Most members use the Acol system, but Standard American is also played by some. A training day, suitable for aspiring club directors with no prior directing knowledge or those needing a refresher, will be held at the Rotorua club on 25 May. Details here. 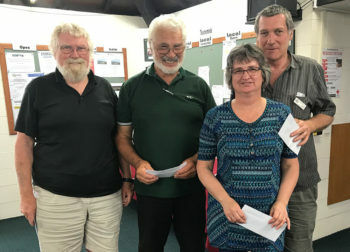 Well done to Alan, Heini and Rona and John Driscoll - they won the Hastings 5A Teams event last Saturday- 6 wins- no losses!